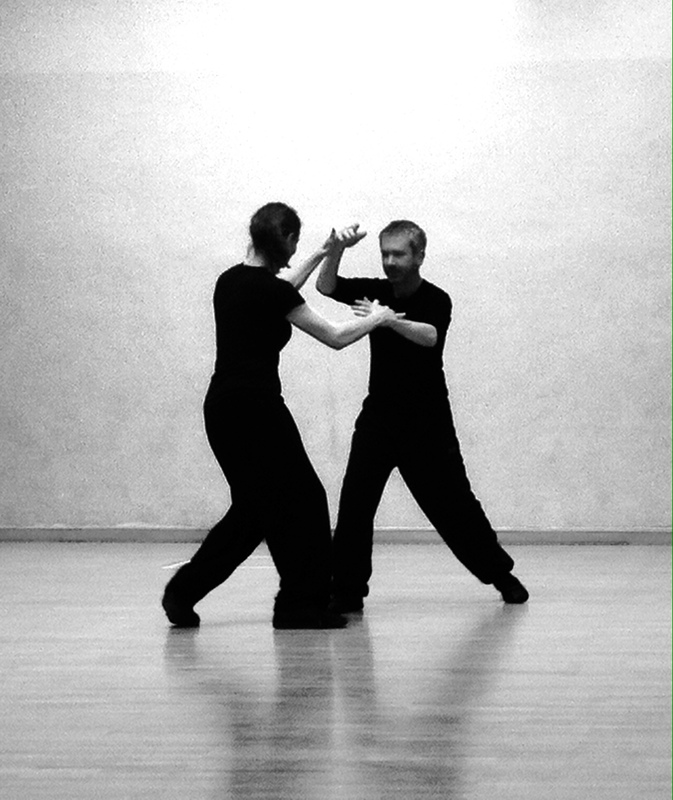 We are a school headquartered in Brighton promoting the teaching and exploration of the Chinese internal practices Nei Gong, Qi Gong and Nei Dan and the Chinese Internal Martial Arts of Xing Yi Chuan and Bagua Zhang. This is the UK base of lineage holder Roy Jenzen’s Internal Intent school. We offer classes and workshops in Brighton and around the UK and Europe. Roy has been teaching in Brighton, around the UK and Europe since 2004. He is based in Australia where he has taught for over 30 years. 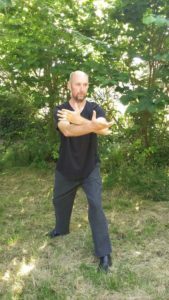 Roy Jenzen is a teacher of the Chinese ‘internal’ martial systems and Daoist neigong skills, and a doctor of classical Chinese medicine. He teaches and practices in Perth, Western Australia, the United Kingdom and Europe. After graduating in Sydney in 1978, and pioneering acupuncture in Western Australia, Roy pursued further studies in Taiwan and was awarded a doctorate in Chinese medicine. In 1985 he fulfilled a life-time vision by going to live in Beijing where he became one of the very first westerners accepted as an ‘inner door’ (nei men tudi) student by some of the twentieth century’s last surviving old masters (lao shih-fu). Roy is a direct lineage holder in both the Xingyi chuan and Bagua zhang martial arts systems. Along with these commitments in Beijing, Roy sought out and met with some of the old Daoist teachers of traditional practices who were gradually re-emerging in China at that time; and, later, did clinical work at the Shanghai University Medical Hospital, and met and worked with leading ‘internal’ martial arts practitioners there. 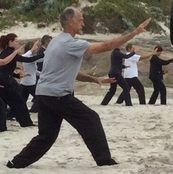 In the decades since this ‘source’ training, Roy has dedicated himself to refining, developing, promoting (and demystifying) true internal method training, and integrating it with original Chinese medicine, honouring both the tradition and the ever-developing and adaptive nature of these arts. 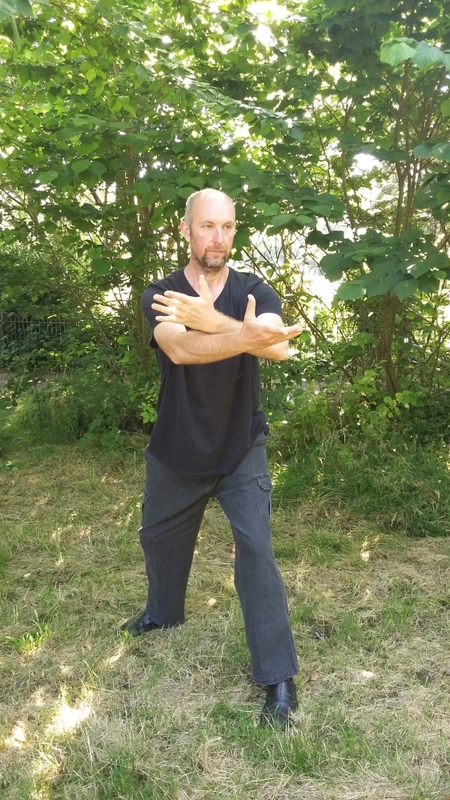 Roy also hosts an ongoing programme of international workshops, teaching these skills in the UK and throughout Europe, and is renowned in martial circles for his deep understanding of the ‘old skills’ of the Chinese ‘internal’ systems. He considers it his life’s work to share and develop these martial and life skills with those who have the necessary passion and commitment to do so. I have been involved in the study of Chinese internal arts for the last 30 years. Initially studying Wing Chun then moving inwards with Qi Gong, Nei Gong, Ba Gua and Xing Yi. For the last 10 Years I have been training with Roy Jenzen and started teaching as a senior student of Roy’s in 2010. 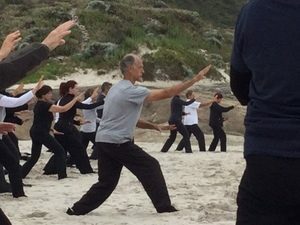 Since then I have been teaching weekly classes, local and international workshops and retreats and Qi Gong at a number of UK colleges of Chinese Medicine. I have been practicing Chinese Medicine (Acupuncture, Tuina and Chinese Herbal Medicine) for over 20 years. 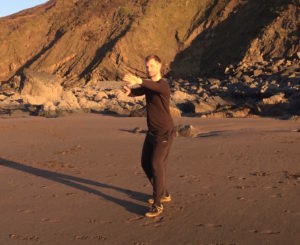 As a senior student within the UK branch of the Internal Intent School and with the blessing of founder; Xing Yi and Bagua lineage holder Roy Jenzen, I am privileged to offer this rare system to a wider audience. A keen student- I have over 25 years experience within the Internal Arts, with many years assisting and teaching experience, I am also a qualified Acupuncturist and Tuina body worker. After working closely with Roy over the last four years- revolutionising my own practice, I am keen to offer this highly beneficial work for those that have the heart for it. I’ve been drawn to Chinese martial arts since living in Hong Kong as a young boy. I began studying external styles of Kung Fu 20 years ago and as I got older became curious about and sought out the internal arts. I joined the Internal Intent school in 2013 and have dedicated myself to the practice – having found a martial way that works much deeper than simply learning how to fight better or generate more power. Studying with Roy, Keith and other senior students across Europe has been a transformational experience and I’m happy to be offering classes on the border of Devon and Cornwall.